De Toledo High School College Counseling is available… but is it right for your student? Located in the San Fernando Valley of the Los Angeles area, de Toledo High School (formerly called New Community Jewish High School) is the 2nd largest Jewish high school in the United States. This premiere high school has a student enrollment of 400 students, with students from 49 zip codes. De Toledo High School is committed to the academic success of their students, and they accomplish this with academic advising and college advising services. The high school currently has 4 academic counselors. These academic counselors make sure that students can meet graduation requirements, but they also provide college counseling services as well. The current de Toledo High School student ratio shows that one advisor is assigned about 28 students each year for both academic and college counseling services. Applying to college is a process that requires planning and organization. 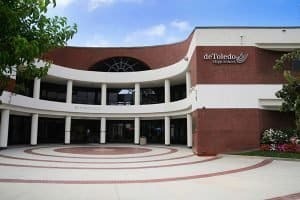 The de Toledo High School college counseling services may not provide enough time or attention for a student applying to college, especially if college admissions planning hasn’t started until a student’s junior year. Students should begin their college admissions work before or during their junior year, but most high school counselors focus most intensely on high school seniors, and so don’t spend much time with underclassmen. De Toledo is a great high school with well-intentioned and caring counselors. But the de Toledo High School college counseling program may not be sufficient to get your child into the right college. You’re going to invest many tens or even hundreds of thousands of dollars into your child’s education soon. How do you make sure you have a college counselor who knows your child and will make sure they find the right college? You want your child to get into the right college. Every parent does. Navigating the college admissions process is challenging for you and your student. With your student’s immediate and long term futures at stake, the pressure to make the right choice can seem unbearable. What can make this process easier? A professional college counselor is the answer. Magellan’s college counselors work with your child to identify the college that is best for their needs. We’re there every step you take, and we’ll make sure that you know when – and how – to prepare for college. The earlier you and your student begin the college admissions process, the better. However, Magellan’s experienced college counselors can make an impact even if you didn’t get started until senior year. We work directly with your child from start to finish to help ensure that they find, apply and are best prepared to be admitted to the college that is best for them. Based on your child’s individual profile, we match a Magellan college counselor to your student. We decide on the match by looking at your child’s skills, talents, interests and future plans. This match is the key to your child finding and applying to the right college. Each college counselor at Magellan has their own skill and expertise in certain subjects, such as athletics, STEM, humanities and other academic fields. Once matched, the college counselor works with your student to research, discuss and compile a college list full of schools that will help them flourish emotionally and academically. Along the way, we’ll help your student evaluate whether Early Action is the best decision. Our college counseling team has personally visited more than 300 colleges located around the country, and so we know about all of the great schools that could be a great place for your child to study and grow. As members of several professional college counseling associations, we make sure that we don’t just meet industry standards, we exceed your standards. Each counselor on our team works with a small number of students, providing full one-on-one attention. We start by identifying how your child sees their college career, and we help them with the path toward that dream until finally they begin to receive their college acceptances. We hear it from our clients: they need more time and attention than what the de Toledo High School College Counseling program can offer. Would you like to hear more about how Magellan College Counseling can help your child prepare for college? We’re ready to help. Just get in touch via our contact form or by calling 877-5-MAGGIE (877-562-4443).